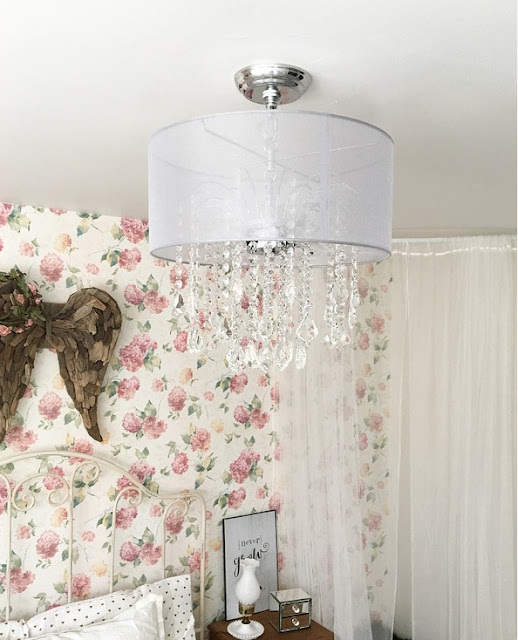 I also knew I wanted an amazing chandelier for the space and this one from Lamps Plus is exactly that! It's beyond gorgeous in the room and the crystals make the whole room sparkle. It's super affordable too! You can find it HERE! 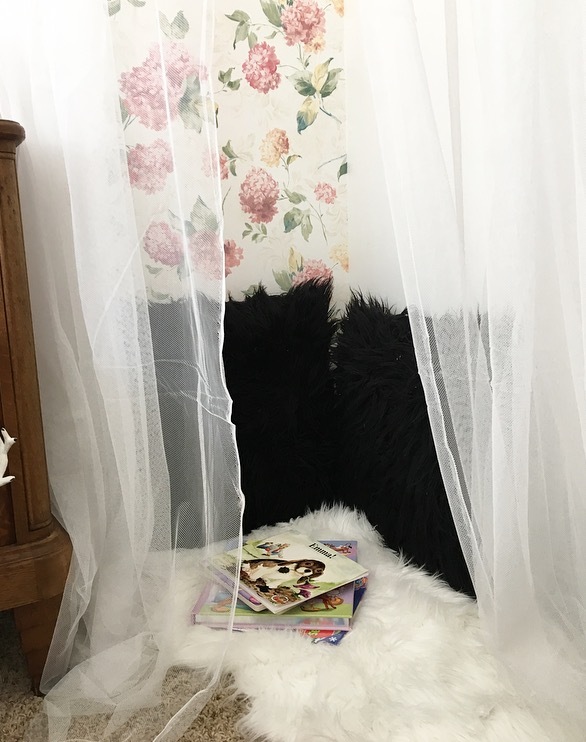 I made a little reading corner using a small curved curtain rod I found on Amazon and added long sheer drapes from IKEA. 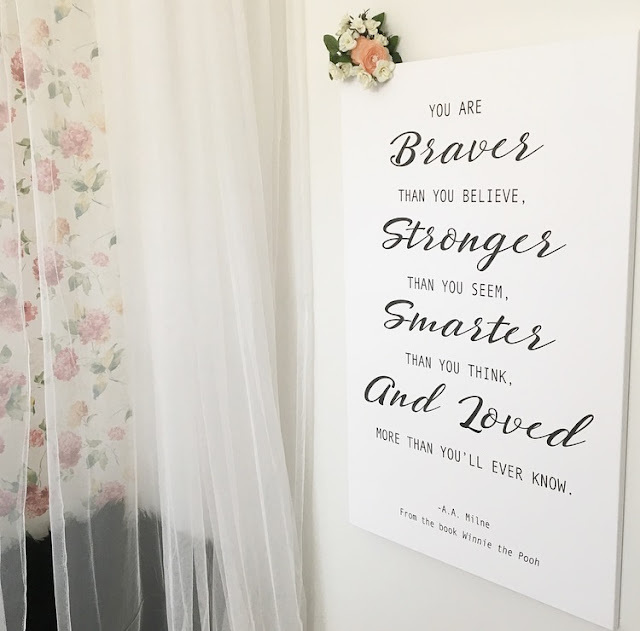 This canvas is so special to me, it's from Canvas HQ and it's just what I wanted for the space. I love having positive messages in my daughter's rooms! I found the faux fur rug and pillows from Hobby Lobby. 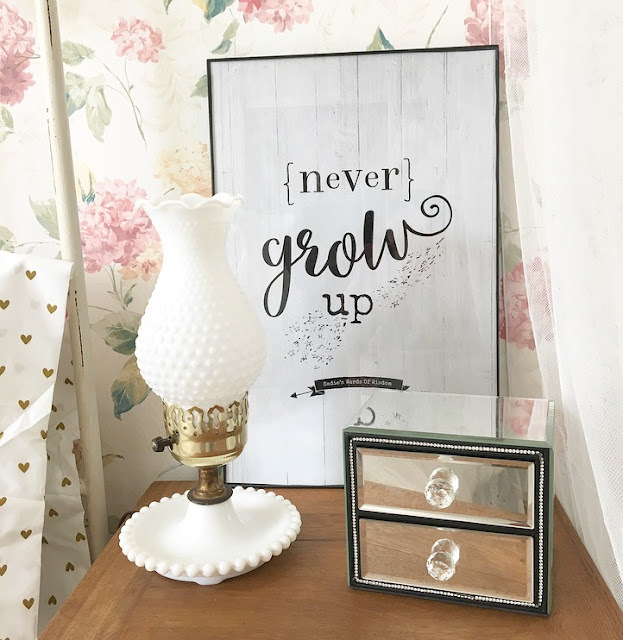 This "never grow up" print from Jibe Prints pretty much sums up how I feel about all my kids. It's so pretty on her nightstand. 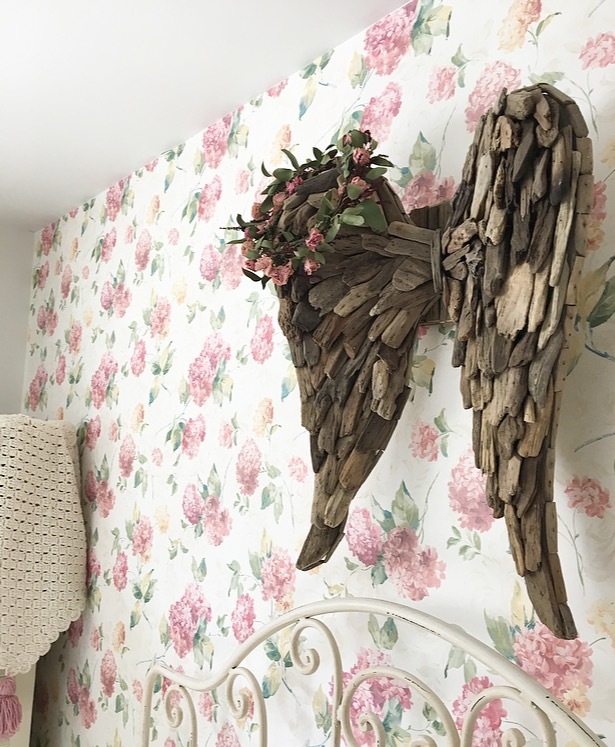 They make dozens of different designs for just about every room in your home. They even personalize it for you! This mirrored jewelry box is also from Lamps Plus! You can find it HERE. 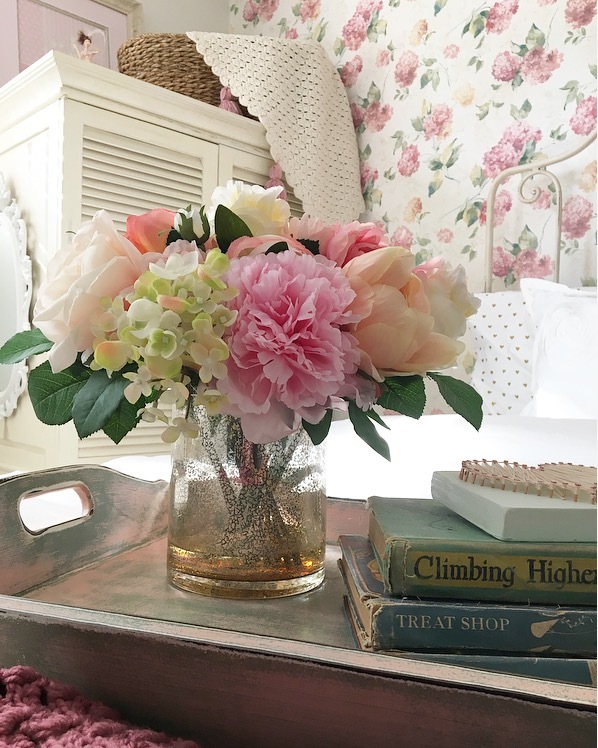 How gorgeous is this flower arrangement in the mercury glass vase from Lamps Plus?! 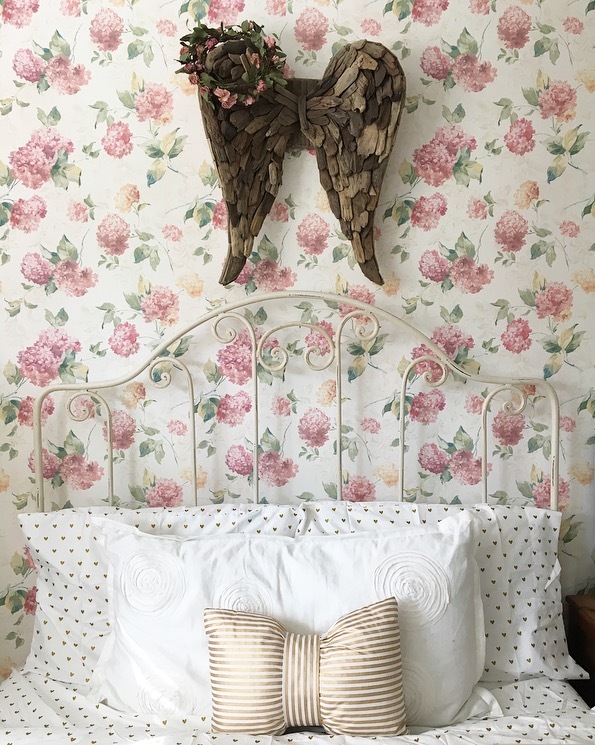 The room was a soft pink before so I wanted to go with something neutral with the wallpaper. I choose Emerald Interior Paint from Sherwin-Williams in the color "Alabaster". Emerald is a paint and primer so I only had to use one coat to cover the pink! It went on smoothly and I absolutely love the color! It's the perfect white. I found these old shutters at a local store and knew I wanted to use them in the room. 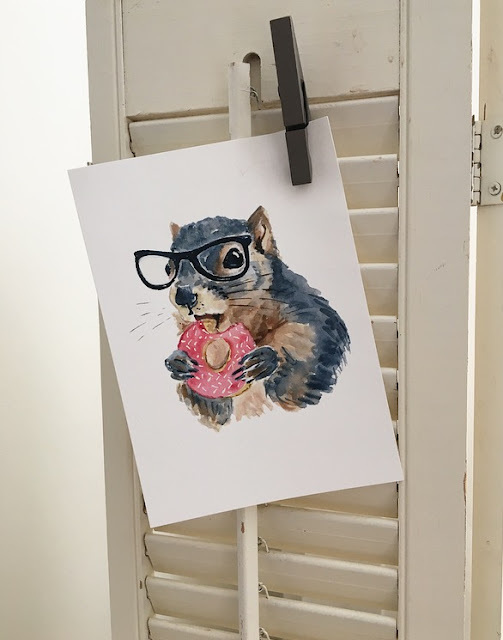 I found these watercolor prints on Etsy from Water In My Paint and fell in love with them. They add some fun to the room and my daughter giggles when she sees them. 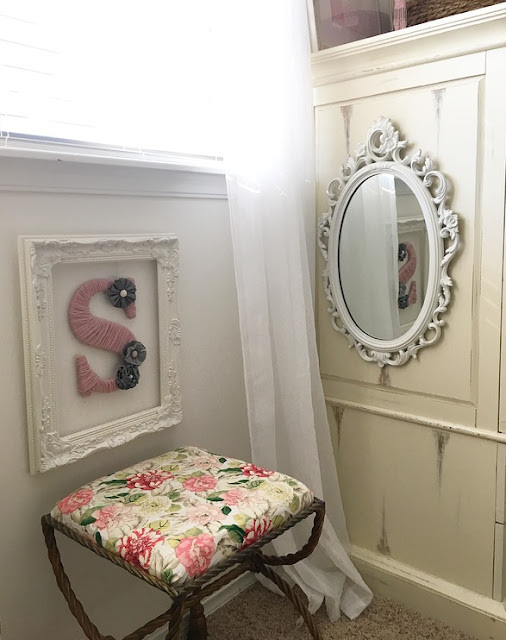 I originally planned to paint this little nightstand I found at a garage sale but I actually loved the wood once I brought it into the room. 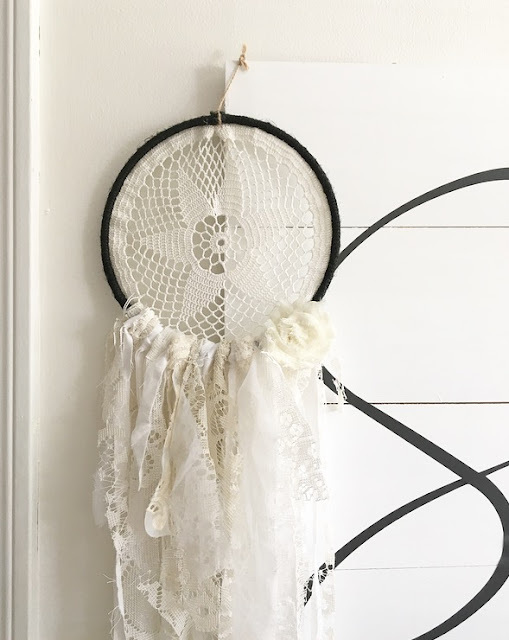 I found the little deer antler handle pull from Hobby Lobby. I found these sheets from Target and the white, eyelet bed skirt from Amazon. 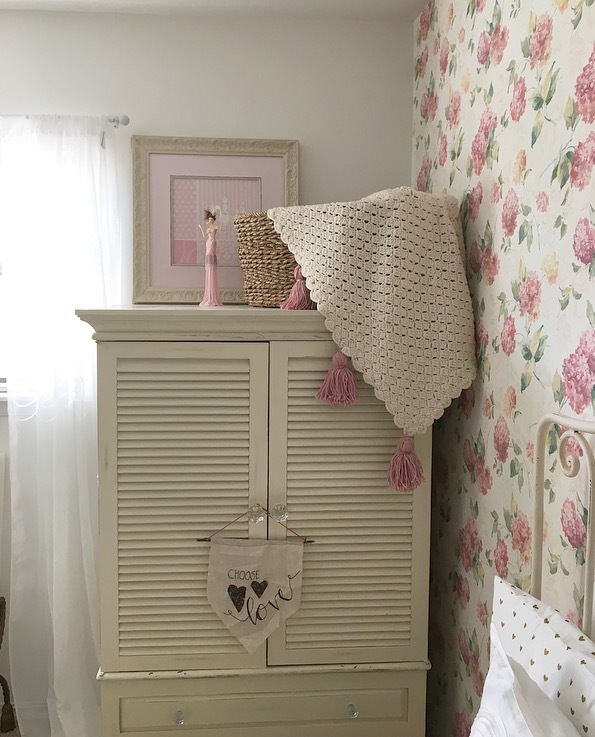 My great-grandmother made this crocheted blanket and I added the tassels to it. 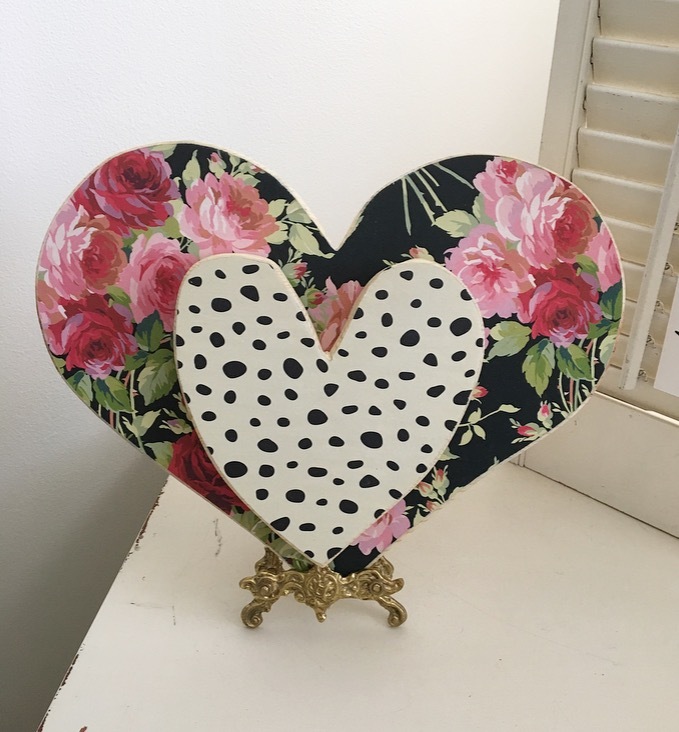 Wooden hearts from @threemangoseeds on Instagram. Thank you for visiting and I hope you enjoyed the room tour! 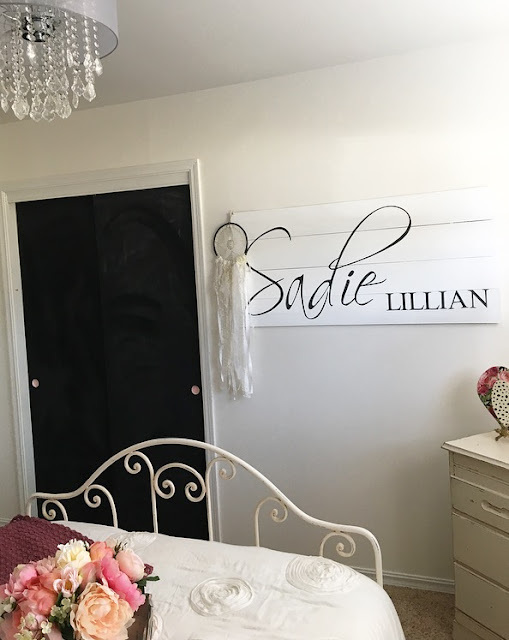 I had so much fun making over her room and I think she will be able to enjoy it for many years to come. 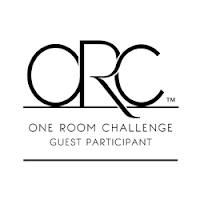 Be sure to head back to Calling It Home to see all the other rooms in the One Room Challenge! Also, a big THANK YOU to Linda for organizing this event! A very special thanks to all my sponsors who made this room makeover possible! *I received products and paint as compensation for this post. All views and opinions in this post as always are my own and no other compensation was provided. Thank you so much Ty!! Oh Daraka!!! It is precious! 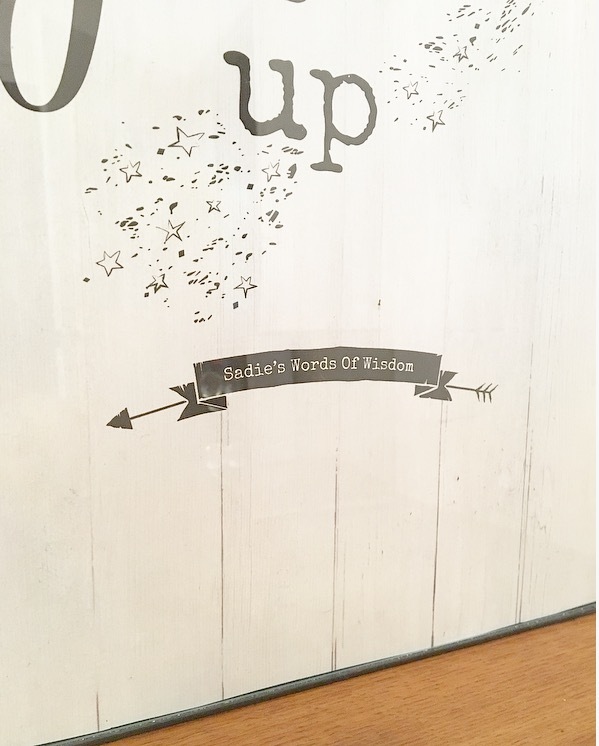 So many thoughtful little details. 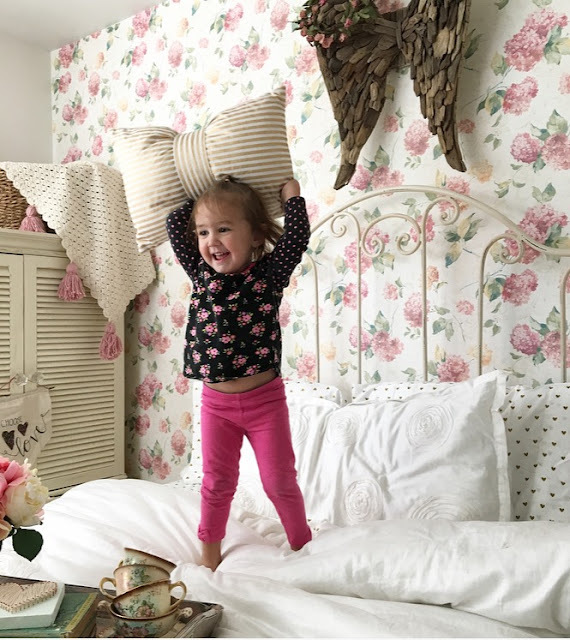 Your daughter looks perfectly happy jumping on her new bed. You did an amazing job! Yes I should haha! Thanks! oh this is so lovely! i love the mix of classic feminine with the quirky art and touches! What a beautiful room for your little girl. Just amazing! The wings have melted my heart. Gorgeous room! 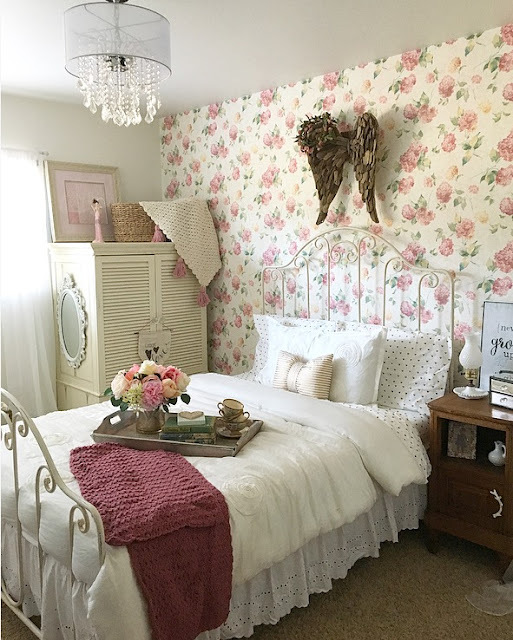 The chandelier, wallpaper and bed are my favourites! Love it! How adorable is your sweet Sadie? 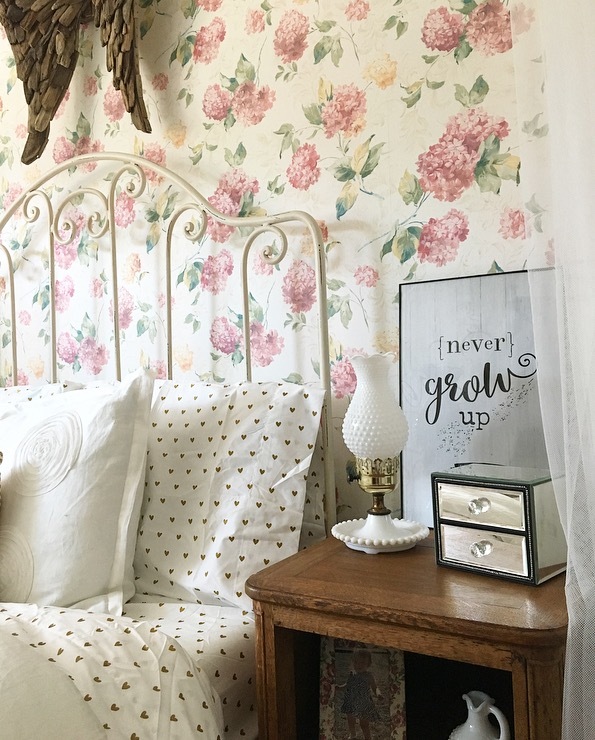 And this room is a dream that any little girl would love!! 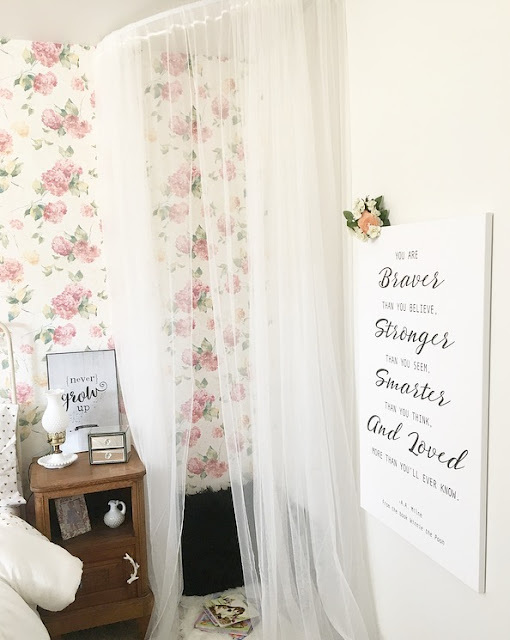 I adore that canvas!! Congrats on an excellent job! 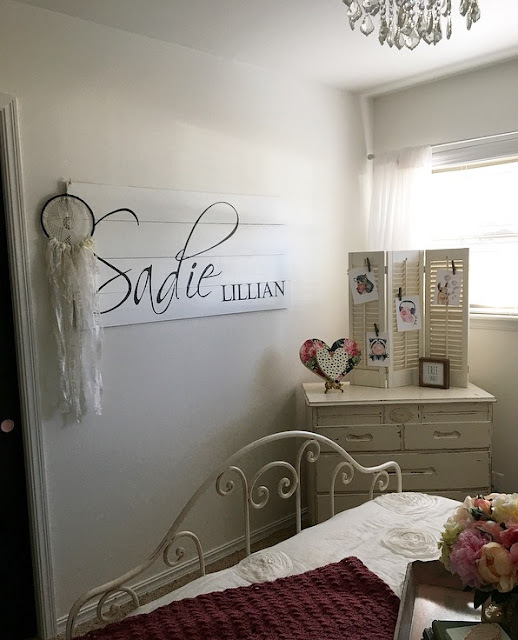 Oh this room is so sweet! 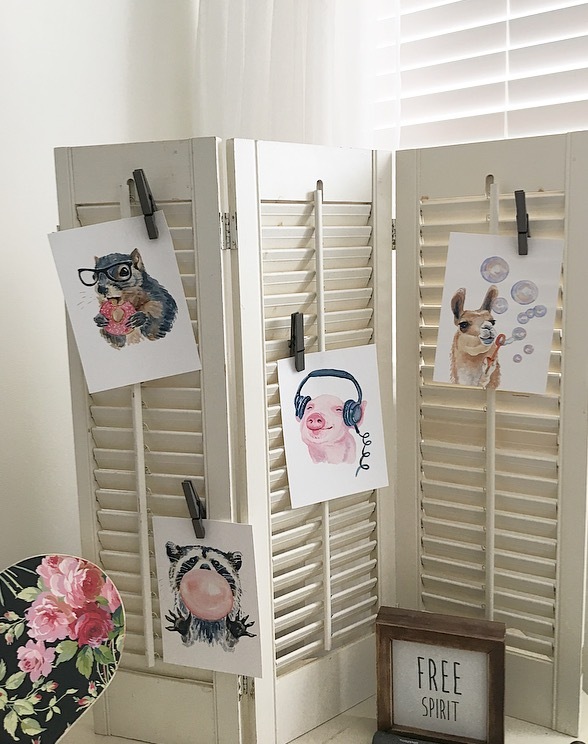 So many whimsical touches, like the cute animal prints clipped on the shutters! Love it all! Daraka, the room is so sweet! I love the floral wallpaper and that those animal prints are adorable! I know your little girl must be thrilled! great job! !